Here in Mesa City Limitless, we bid a fond farewell to summer and welcome harvest season with open arms! 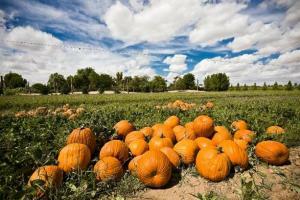 The weather is perfect and fall festivals string together the weeks before winter with pumpkin picking, corn mazes, live entertainment and more. Voted the Best Fall Family Event in the Valley by Phoenix Magazine, New Times, and Sunset Magazine, the annual Pumpkin and Chili Party at Schnepf Farms has something for all ages. 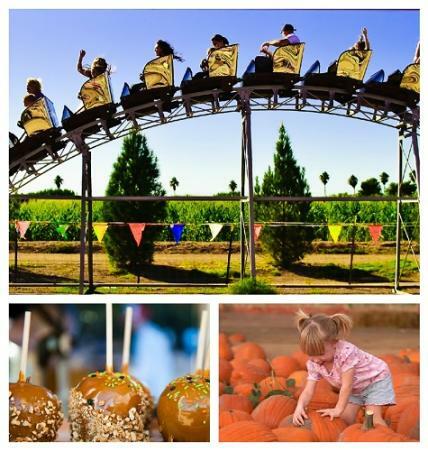 Savor a bowl of delicious chili and select a pumpkin for carving in the pumpkin patch, but don’t miss out on the corn mazes, hayrides, and entertainment. Times: Thurs, 10 a.m.-9 p.m.; Fri-Sat, 10 a.m.-10 p.m.; Sun, 10 a.m.-9 p.m.
Vertuccio Farms will be celebrating their 20th Annual Fall Festival and Corn Maze. Tractor-train rides, rubber duck races, a giant tube slide, and a petting zoo will accompany their 7-acre corn maze. Times: Starting at 9 a.m. Kick off the harvest season at Queen Creek Olive Mill with Olivepalooza! Taste extra virgin olive oil direct from the milling machine, attend cooking demos and workshops, satisfy your food cravings with local food trucks, and hang out in the grove with live music and games.